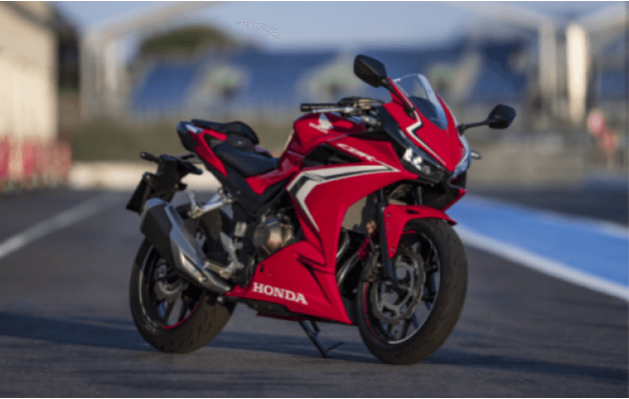 Honda announced this week that they will be launching their middleweight range of motorbikes, which will be together for the first time in Ireland, at the Carole Nash Irish Motorbike & Scooter Show RDS, 1st – 3rd March 2019. The line-up includes the naked CB650R, the sports middleweight street-focused CBR650R, and the trio of roadster, sport and adventure bikes the CB500F, CBR500R and CB500X. They will be among 21 Honda bikes on display at the show. The signature round headlight and sculpted fuel tank position the CB650R firmly as a member of Honda’s Neo Sports Café family and, as a result, brings with it a unique look to the naked middleweight sector. The 649cc, inline-four-cylinder engine found on previous models from Honda, has been redesigned to produce more power. The bike also comes with six-gear transmission, is complimented by an assist/slipper clutch which helps make gear changes smoother. Top line specification on the bike includes 41mm Showa upside-down ‘Separate Function’ forks, radial-mount four-piston front brake callipers, Selectable Torque Control, LED Headlights and ultra-modern LCD instruments which, along with a lighter and stronger chassis than it predecessors, makes this bike one to watch in its class. The CBR650R strikes a remarkable balance between being a street-focused sport middleweight, a daily commuter, a weekend sports-tourer, and even a track day machine. The bike is powered by a 649 cc, liquid-cooled in line four engine that now produces 94 horsepower at 12,000 rpm with 47 pound-feet of torque at 8,500 rpm and is coupled to a six-speed sequential gearbox with assist and slipper clutch. The CBR650R boasts new 41mm Showa ‘SFF’ USD fork suspension and also comes with the Honda Selectable Torque Control System (HSTC), which adjusts engine power to optimise torque at the rear wheel, reducing rear-wheel slip. Breaking comes in the form of 310 mm discs and four-piston calipers up front, with a 240 mm disc in the rear. Dual-channel ABS protection comes as standard. All three bikes are powered by an upgraded 471cc DOHC parallel twin engine which now provides more low-to-midrange power and torque and is managed through it six speed transmission. The light middleweight trio have all been upgraded to higher specifications, giving them stronger roadster, sport and adventure identities. All three models have new rear suspension, assist/slipper clutch, full LED lighting, modernised LCD instruments with gear position and shift-up indication, and new dual-exit muffler for a richer engine note. All three come in a prominent Grand Prix Red, with an additional colour option of Matt Grey Metallic in the CBR500R model. For stunning displays of truly amazing motorbikes and spectacular live action entertainment for all the family, visit The Carole Nash Irish Motorbike & Scooter Show at the RDS in Dublin, 1st-3rd March.